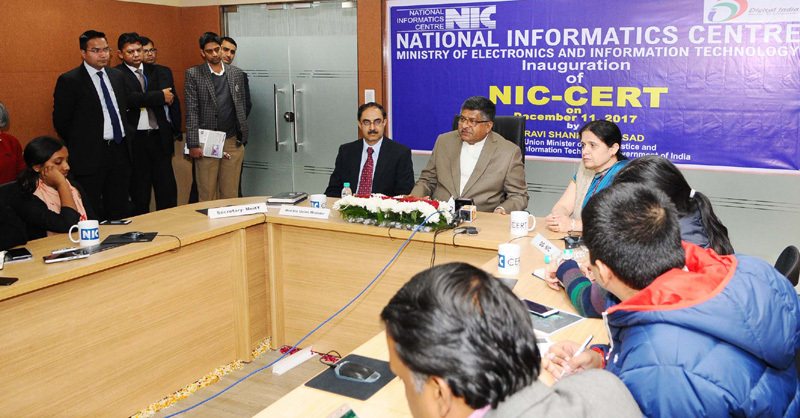 NIC-CERT was launched by Union Ministry of Electronics and Information Technology (MeitY). NIC-CERT is a setup of National Informatics Centre (NIC) to prevent and predict cyber-attacks on government utilities. It was launched in New Delhi as a part of Digital India initiative. The Union Ministry of Health and Family Welfare launched ‘LaQshya’ Initiative and mHealth: A Safe Delivery Application on the occasion of Universal Health Coverage (UHC) Day celebrated every year on 12th December. Moreover, Operational Guidelines for Obstetric High Dependency Units and Intensive Care Units were also released. The Union Ministry of Youth Affairs and Sports will soon launch Khelo India programme for period 2017-18 to 2019-20 at cost of Rs 1756 crore. It was also announced that year 2018 will be celebrated as the Year of Sports at the same Yuva Sambardhana Utsav addressed by Rajyavardhan Rathore. In a move aimed at facilitating smooth roll out and management of demand incentives for e-buses under FAME, the government has made mandatory for Original equipment manufacturers (OEMs) to seek approval from Department of Heavy Industry (DHI) before accepting any proposal to supply electric buses for availing incentives under the FAME India scheme. The Indian Space and Research Organisation (ISRO) is developing small satellite launch vehicles to launch low-cost small satellites. ISRO’s rocket development node, Vikram Sarabhai Space Centre (VSSC), has started preliminary work to design and develop such ambitious small launch vehicle.